ML Lincoln Films - "Drowning River"
When rising folk singer and starlet, Katie Lee, left Hollywood in 1954 and arrived in the untamed canyon lands of Arizona and Utah, the direction of her life changed forever. "Drowning River" captures the spirit of Katie Lee, a fighter for the cause of saving her beloved Glen Canyon from being drowned and forgotten under the rising waters of Lake Powell Reservoir. From folk song to protest song, Katie Lee, along with friends Edward Abbey, Tad Nichols, and Chuck Bowden photographed and wrote a plethora of appeals to spare one of the most beautiful canyons on the planet. 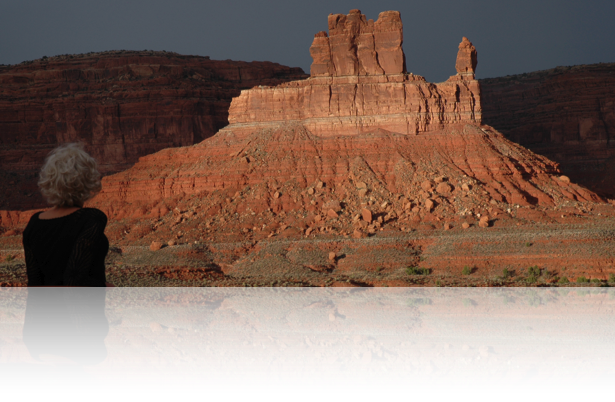 Greatly influenced by Ed Abbey, author of the popular "Monkey Wrench Gang" and reflective "Desert Solitaire", Katie Lee has devoted her life and art to the canyon so few people ever knew. Her books and music describe and sing the magic of the Colorado River as it once flowed through the gentle Glen Canyon. The film is honored to share historical footage of Abbey's famous speech atop the completed dam as friends roll the long black plastic mock 'crack' over its side. Also featured is Friends of the Earth founder, David Brower's last footage of Glen Canyon in 1963. The audience can see the ancient evidence of indigenous cultures, side canyons and waterfalls, rich riparian wildlife, all lost beneath the heavy waters of an unsustainable reservoir environment. Chuck Bowden, author and friend to both Katie Lee and Ed Abbey, provides an unabashed interview and narrative, almost as spicy as Katie Lee herself. He paints a vivid description of the characters around Katie and Ed and does not hesitate to expose the politic behind the building of the dam that "murdered the canyon". "Drowning River" tells both a sad and inspiring story. It is the first of ML Lincoln's films that explores not only the stunning canyon lands of the southwest but also the unique characters that inspired Ed Abbey's renowned novel, "The Monkey Wrench Gang."